Katsumi Kimoto is an experienced artist, art curator and art dealer. He’s been well known in Vancouver, BC, in particular in the area of South Granville’s Art Gallery Row. Katsumi was previously the Director of the Douglas Udell Gallery on West 6th Ave, from 2003-2005, and was the lead sales associate at the Ian Tan Gallery on Granville Street, from 2006 to 2011. 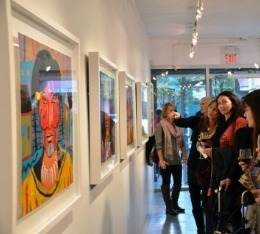 He has also been curating and managing some large corporate and private art collections in Vancouver, BC. 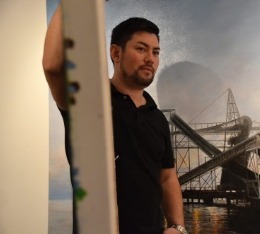 Being an artist himself, Katsumi brings a unique perspective to the gallery, understanding both sides of the business. Jiali Kimoto, Katsumi’s wife, is a multi-faceted designer with over a decade in the industry, and was most recently a lead designer with a major international brand. 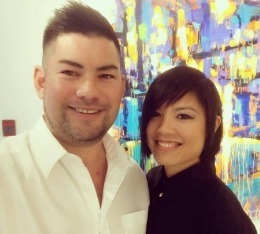 Together, this husband and wife team are embarking on this new journey and creating a unique gallery space here in Vancouver, BC. One of the goals at KIMOTO GALLERY is to offer the best fair market values available on original artworks. The gallery offers both accessible artworks for first-time buyers and art lovers, along with highly sought-after artworks by established and senior Canadian and International artists for the seasoned collectors. Katsumi and Jiali are extremely excited to select and showcase the artwork of many of their talented peers and artist friends, “We’ve been watching so many artists and artist friends develop over the years, and we’ve been both impressed and amazed by the skill and often genius of their work. And now we have the opportunity to bring these unique artworks to collectors in Vancouver and abroad. We are confident that these talented and hard-working artists' works will not only look great on your walls, but will also be sound investments for the future."